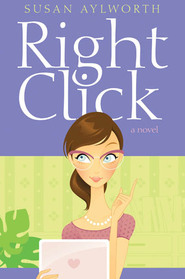 Six months out of law school, Rachel Pearce is completely disillusioned by her job hunt. Despite pounding the pavement with her Ivy League degree in hand, her job prospects are no brighter than the day she graduated. Then in a chance meeting with a former acquaintance, eccentric young millionaire Henry Walker, Rachel finds an unexpected opportunity: Henry is looking for a personal secretary. Swallowing her pride, Rachel sets aside her law firm aspirations for what she envisions as secretarial work—mountains of paperwork and filing. But when she finds her most demanding duty to be daily cookie runs for her new boss, she’s baffled by her unconventional job responsibilities. As she’s pulled into Henry’s delightful whims, caught in a whirlwind of private jets and fancy dinners, Rachel finds herself inexplicably drawn to this handsome and charismatic man. But reality always has a way of intruding, and logic tells her that this adventure can’t last. When real life inevitably comes calling, Rachel must decide if she’s willing to trade in her dream of success in the courtroom for a chance at love. I loved this book!! It was such a fun, fast read which had me laughing out loud multiple times. Rachel Pearce is an attorney without a job. She's getting desperate for something when she runs into Henry Walker, an ex-boyfriend of her best friend, Shannon. He offers her a job and she's not interested until her situation becomes dire. Once she starts working for Henry, she is given quirky tasks to complete, like mastering the copy machine, helping him with his book club and buying gourmet cookies every day. She is also exposed to the life of the wealthy and enjoys it but she can take it or leave it. Her friend, Shannon, is going through a major life change and that caused some funny scenes as well. I enjoyed all the characters in this book and thought they interacted well together. I wasn't that impressed with Henry at first but he quickly grew on me and I loved how their relationship developed. I didn't even know this was a sequel until I was telling my sister about it and she told me there was another book, so I would say this definitely stands on its own. The first book is the story of her best friend, Shannon, and her husband, Nathan. This is the first book I've read by this author and I enjoyed her writing style a lot! I will be reading more of her books in the future! I read the first book, Before the Clock Strikes Thirty, and really enjoyed it, so I couldn't wait for this one. Rachel knows what she wants after finishing law school--a nice, prestigious job and some money. A hit to the economy leaves her digging for change to make ends meet and her pride won't allow her to work just any old job--even a job offered by a former crush. Henry is tall, rich, and full of charm, but he's been burned before and a little leery of falling in love again. I love Ms. Mace's writing style--the witty banter, strong yet flawed characters, and humorous but romantic storyline. Rachel takes a job as Henry's secretary and finds herself doing all kinds of crazy work, including buying him gourmet cookies every day. These were great characters and I did like them, but there were times when I wanted to tell them to wake up. They were both a little hardheaded and missed things right under their noses. I also liked Rachel's friend, Shannon. She relies heavily on Rachel and goes in circles about decisions, but she is a lot of fun. Book 1 is her main story. This is a great workplace story with fun main characters interactions, especially with the assumptions and misunderstandings scattered throughout, and thoughtful gestures. I always enjoy a good, clean romantic comedy and this was definitely one that I was in the mood for. This book totally hit the spot for me! I can't really put my finger on why I enjoyed it so much, but I devoured it. I suppose I can start with the outside and work my way in. I think the cover is super cute. I'm not sure that it really tells much about the story, but I guess the two main characters run into each other in a bakery, so maybe that's the inspiration. Whatever the reason, I think it's cute and it would catch my eye on a shelf. And now to the guts of it. This wasn't really your typical romance novel. Rachel and Henry are a funny pair. There is so much tension between them-Rachel's doing. Their meetings and then working relationship are comical. Except for the times when it's a little frustrating, and then the times when it's . . . swoon worthy? Well, that might be a poor description. But, the outings that only a millionaire could arrange on a whim are the stuff of fairy tales. Henry did some of the sweetest things for Rachel. She was a bit of a stinker, but I liked how it all worked together. 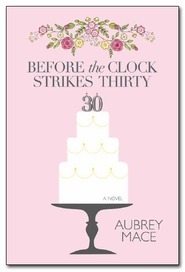 I'd recommend this book and would read more by Aubrey Mace. I SO ADORED THIS BOOK! WOW! WHAT A FUN BOOK! I SO ADORED EVERY SCENE! I loved the theme of if the going gets tough you hold out..and if not...you swallow your pride and accept whatever will keep you going. I also loved the twist on Henry's character! Oh and the cat and the mouse and the office chair race--this book is so full of surprises! Grab a copy today and start reading! Then leave me a message of what you thought! This book is a true DELIGHT!